We focus on five ways through which users can make their laptops run faster. Guest Feature*: A laptop has become more than just a household gadget.Everybody wants to bring the best brand home. There are numerous branded companies, which offer discounts during festivities and other happy hours. Customers prefer laptops over desktop for the simple reason that they are handy and portable. Users get frustrated and disappointed when the system keep on locking up in few seconds and also keeps freezing. Especially, in a scenario when you are working on the important document, and suddenly your system goes off. And unfortunately you didn’t save the document which you were working on. Impact of spyware can risk the working of your system. With its impact the working process can also be slowed down due to which the working on the system could be not only difficult but also hazardous as you could lose data. There are many ways through which you can protect your system from the spyware as well as the viruses. Firstly, by downloading Microsoft’s free Windows Security Essentials. It provides safety to the computers from viruses, spyware, other dangers and adware. It acts as a defender which also removes unwanted malware which hamper the working of the system. They work perfectly for windows7, windows vista, windows XP etc. It helps in detecting the threat and also removing it perfectly due to which the speed could be enhanced. Disk clean up is another tool which takes care of cleaning up the space. It is also referred as the doctor of the computer. Helps in freeing the space on the computer and improving the performance of the laptop. It identifies the list of files which can be removed in a simple and rather quick manner. The disk clean-up is used for the purposes such as removing temporarily files which gets downloaded when you access some internet sites. Deleting the files which have been downloaded for example Microsoft ActiveX addins and the Java applications. Also empty the recycle bin, where the file comes when any file is removed from the system. Removing the temporary files of the windows which are of no use. Deleting the redundant system files and also removes those files of windows which you are not using on your system. Disk fragmentation is another option which slows down the systems working. As when the files are fragmented, then the system will be taking ample time to search any document. As it will have to search on both the portions. The response time for the search could be of longer length and duration. The two options for its solutions are optimized drives or the disk defragmentation options. When the files are stored in the set pattern then the working speed of the system also increased. As the system uses the hard drive, the hard drive can encounter some bad sectors on it. And as the bad sectors increases, the system slows down and also sometimes it makes the data writing impossible and difficult to handle. The error checklist helps in scanning the bad sectors and removing it. 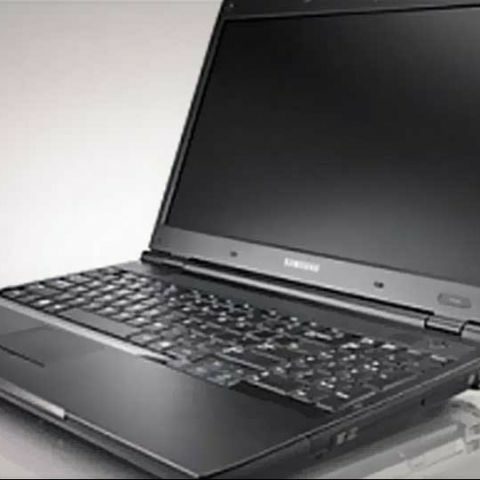 People do plan to purchase the computer systems when there are 10% of laptops with voucher code offered by numerous branded companies. Virtual memory is essentially the room on your system hard drive which is assigned by the Operating System to be used as a buffer when the memory usage of an application has reached the optimum level. Thus increasing virtual memory gives the much needed reserve space to those hefty applications you might be running which would otherwise lower the system performance drastically.To increase the virtual memory access the System settings > Advanced system settings>Advanced tab> Performance> Settings. Choose custom size and set the virtual memory to nothing less than 1.5 times and nothing more than thrice the RAM amount on the system, in units of Megabyte. *Please note, the preceding article is a guest feature, and the views expressed are the author's own, and not ThinkDigit.com's. which is faster nexus 5 or xiaomi mi3?